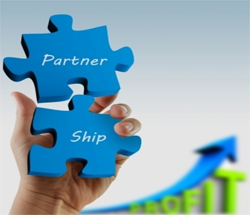 Partner With a Virtual Assistant to Grow Your Business - B.A.C.I. Enterprises, Inc. I have some honest words for you, based on personal experience: If you are trying to grow your business, and you are doing it alone, eventually you are going to hit a wide, massive plateau. It’s going to look like something from a National Geographic magazine — flatness for miles, especially from your viewpoint — which will be you standing on top, scratching your head. When I launched The Writing Whisperer, I knew I needed three pivotal people on my team: a business coach, a virtual assistant who could handle the many tasks needed to keep my business running, and an accountant to run reports, handle the bookkeeping and take care of all my tax needs. Did I have the money in reserve to partner with these three individuals right away? Of course not! I hadn’t even launched my website yet. But, I knew that in order to grow my business, the way I envisioned from the very beginning, I needed a support team from the get go. At first, I was nervous to give up control. I’m sure you, as a fellow business owner, know what I am talking about: The no-one-can-do-it-like-me syndrome. Sound familiar? I had to let that perfectionist thinking go, as it wasn’t serving anyone well — not me, not my VA and certainly not my future clients. Once I was able to completely turn over many of the tasks needed to keep my business running on “the backend,” business growth was inevitable. Because I learned to delegate these tasks, my business has grown tremendously. Just 5 months after the launch of my company, I walked away from a 15 year career in teaching. I have finished a memoir about leaving the failing public school system, and I have been able to focus on the steady growth of my private coaching practice and copywriting clients. Because I gave up control, it also freed up time to write for The Huffington Post, increasing my exposure to millions of readers. Those readers have called me, emailed me, interviewed me on their radio shows, and invited me to participate in events and Twitter chats. To put it bluntly, I am happy to say that my business view has never been from the top of that plateau, scratching my head, surrounded by flat terrain. When I am speaking with new business owners, or ones that can’t seem to find the time to get everything done, the very first piece of advice I offer is to partner with a virtual assistant. And once you do, you should embrace this person and her unique skill sets and treat her like a key player in your business. Ask her for advice. Get her input. Make her feel welcome and a part of your team. I don’t have the money to hire a VA. To which I say: Then your business will not grow. If you free up your time by partnering with a competently trained virtual assistant, then you can bring on more clients. But I have an intern who does that stuff. To which I say: An intern is temporary, in most cases, and looking for the next big gig. Why not bring someone onto your team who shares your vision and your passion and will support you every step of the way? Are you struggling to grow your business, or completely distraught by the amount of stuff you just never seem to get done? If so, I recommend you start by partnering with a well-trained virtual assistant. It has changed my business and my life. And from one business owner to another, I want nothing but success for you!